KATHMANDU, May 27: Former finance ministers and economists have said that the country should focus and invest on certain sectors and products having competitive advantage as part of building a self-reliant economy. Speaking at a program organized in Kathmandu on Friday to launch a book -- 'Political Economy of Nepal' -- published by the Central Department of Economics, Tribhuvan University, and Friedrich Ebert Stiftung, they said that there should be proper planning and management to respond to economic crisis like the recent unofficial blockade imposed by India. “While there cannot be anything like absolute self-reliance in the world, we should have appropriate system and national strategy to respond to or manage any crisis that we may face in the future,” said Ram Sharan Mahat, a former finance minister and a leader of Nepali Congress. Noting that Nepal has reduced dependency on certain sectors and products after the country embraced liberalism and free-market economy in 1990s, he said trade diversification, stockpiling of essential goods, and promoting and facilitating private investment, among other strategies, should be pursued to make the country self-reliant. “Economic activities expanded significantly after the economic liberalization and reforms we unleashed in 1990s. 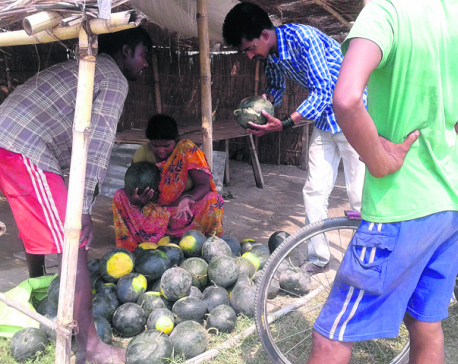 Not only the dependency on sectors like education and health services declined, our dependence on foreign assistance for development budget also went down,” said Mahat. He said that good aspects of every philosophy, either socialism or capitalism, should be embraced and a pragmatic economic approach should be taken for development. “Nowhere in the world is absolute capitalism or absolute socialism,” he added. Another former finance minister Surendra Pandey, who is a leader of the main opposition CPN-UML, agreed with Mahat. “It was said earlier that there is no alternative to economic liberalization. It is positive that former minister Mahat has also acknowledged that there should be balance between socialism and capitalism,” said Pandey. Pandey also said that it was not possible for Nepal to become self-reliant on everything. “There are primary sectors and products like tourism, hydropower, water, minerals and agro products where we should focus and make investment to become self-reliant as soon as possible.” He also called for massive investments on bridges, roads and airports, among others, to bridge infrastructure gap which is one of the stumbling blocks for economic development. 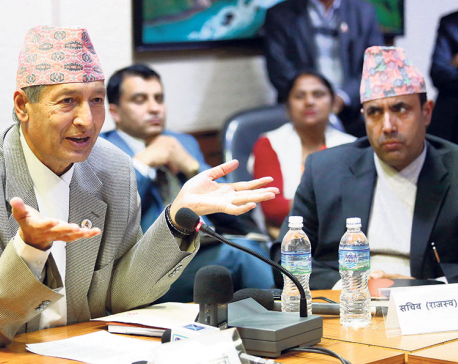 Similarly, Yubaraj Khatiwada, a former vice-chairperson of National Planning Commission (NPC), said that Nepal should reduce dependency on major sectors like food, health and energy. The book edited by Ram Prasad Gyanwaly, the head of the Central Department of Economics, Tribhuvan University, has eight chapters ranging from Nepal's experience with globalization to political economy of self-reliant. 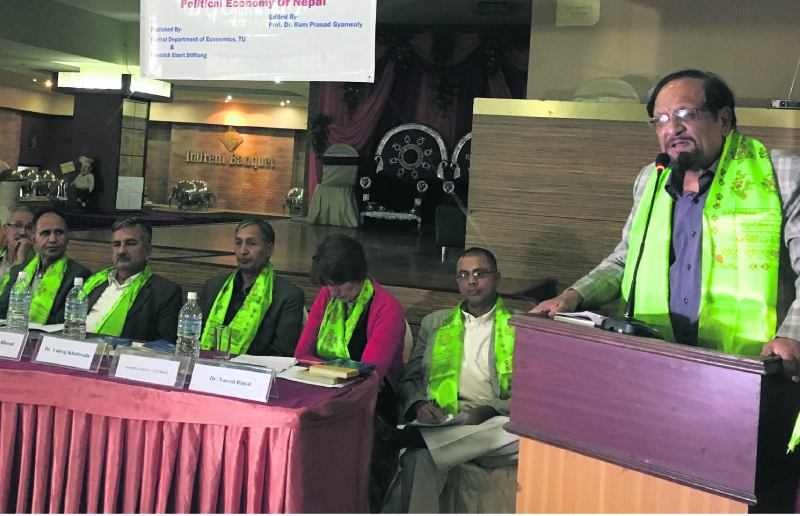 Gyanwaly, Sohan Kumar Karna and Rashmi Shilpakar of the TU, Chandra Dev Bhatta from FES, former NPC member Dilli Raj Khanal and Prakash Kumar Shrestha from Nepal Rastra Bank (NRB) are the contributors. “The main message of the book is that self-reliant economy is the geopolitical reality of Nepal. Nepal may achieve self reliance, balanced and interdependent economy within the broader framework of market economy,” said Gyanwaly.